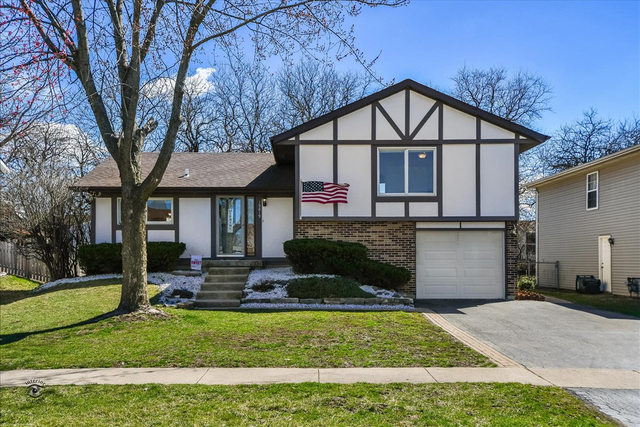 Beautiful 3 Bedroom, 2 Bath Tri-Level Home on Quiet Street in Lincoln-Way School District. This Open Floorplan Home Features an Updated Kitchen with 42" Raised Panel Oak Cabinets, Granite Countertops and Stainless-Steel Appliances. The Main Level also has a Welcoming Living Room that Flows into the Dining Room. The Upper level has 3 Large Bedrooms, all with Hardwood Floors, and a Full Bath. The Lower Level has a Cozy Family Room, Office/Den with Hardwood Floors, Full Bath and Laundry Area. The Fenced in Yard has a Wooden Deck, Above Ground Pool, Storage Shed, Paver Patio with Custom Seating and Cement Pad and Hook Ups for Future Hot Tub. Other Features Include a 1 Car Garage, Ceiling Fans in All Bedrooms and Office, 1700 Square Feet of Living Space, Newer Appliances, New Roof 2014, New Furnace 2015, New Fence 2016, New Water Softener 2016, and Cement Crawl Space with Shelving. Minutes to I-80 and Metra Parking, Restaurants and Shopping. Award Winning Schools!